Engaging in crafting activities is a great way to take whatever it is that is causing you stress and tossing it on a shelf. In its place you can reach for your crafting materials and start getting creative. Art is one of the best therapies out there; it lets you get creative and see a project through from start to finish. But what’s even better is a crafting project that can pay off in more ways than personal satisfaction: specifically a $10,000 payoff. The 21st Century Insurance Contest is one that offers a cash payout to the person who can update the classic yellow diamond-shaped baby on board sign in the most unique and creative manner. Think about what $10,000 can do for your family! This is a contest with a great cause. Its focus is to bring awareness to safe driving and child car safety. Crafters can enter up to two signs, and they can be constructed from any material you can get your hands on — they can even be computer generated. The contest ends March 15, 2013, and all of those who enter have a chance at winning a car seat for their infant or toddler. Needless to say, crafting for a competition is different than creating something for your own personal enjoyment, or something meant to be a personal gift. There are several things that must be taken into account. For starters, read the rules very carefully. There can be a lot of stipulations and it is easy to miss a crucial rule. You must be original. One way to be creative and stray from the norm is to brainstorm. Fine Art Tips offers some assistance in the brainstorming department: the author says to create an “inspiration file” – an accordion style folder with individual compartments where you can file things that inspire your creativity. When you are ready to brainstorm remove the items and carefully look through them while considering color, texture, symbolism and anything else that plays upon your imagination. This is another great technique used for brainstorming and is similar to the information file method. Forced association is when you take a few themes or a couple of concepts, and you force out words that bare connections between them. While considering the 21st contest, you could start by examining things like “infant”, “car seat”, “car insurance”, “roads” and “safe driving”. Once you have completed your forced association exercise you can pull items from your inspiration file and find new correlations between these items. 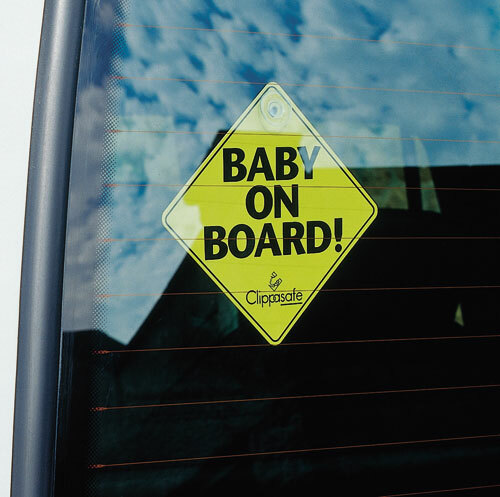 Here is one person’s example: I decided to try these techniques myself, and came up with a blueprint for a baby on board sign that, to me, is original. Being that I live in California and I want to represent a conscious awareness to safe driving on our state highways, I took dried petals from our state flower (the poppy) and feathers from our state bird (the quail) and ground them up with fragments from state road signs that showcased the legal speed limit. I then added clay into the mix, shaped the contents into a diamond-shaped border and baked it in a kiln. I used fabric and mechanisms from an old baby’s car seat that someone had thrown in a dumpster to form the main body of the diamond, and used auto insurance policy quotes to form the lettering “baby on board”. It took about 5 minutes to draft this concept thanks to the brainstorming techniques mentioned above. Interesting contest with a nice prize (seriously $10,000 is really nice). Good luck to anyone who jumps on this. I am not crafty enough for this, but the prize would be nice. WOW, I need to think about this and possibly jump in on the contest. What do you think? You should. You can come up with a nice artwork with your iPad for sure. I agree. You should jump on this.